The 9 candidates who have passed the one-to-one interviews in the MBRSC out of the 18 candidates will undergo an intensive assessment in Russia by experts from Roscosmos. 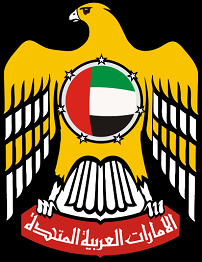 After that the UAE will be choosing the first Emirati astronaut corps of 4 Emirati astronauts based on the comprehensive evaluation for each candidate. The tests will be conducted by experts from Yuri Gagarin Cosmonaut Training Center and will include intensive medical and physical tests for each candidate to ensure candidates are ready for special space-related training. This may extend up to 14 days for each candidate. Recently, the UAE, represented by the MBRSC, and Russia, represented by the Russian Space Agency Roscosmos, signed an agreement to send the first Emirati astronaut to participate in scientific research in a Russian space mission to the ISS, aboard a Soyuz-MS spacecraft. Two astronauts from the Emirati corps will be trained in Russia, one primary and one backup. One of them will be joining a crew of Russian commander and an American astronaut in Soyuz MS-12 spaceflight which is planned to launch to ISS in April 2019. The others will receive extensive training for future long duration space missions.